We have had some great days during heavy snowfalls and today was no different. I arrived to my spot later than anticipated after missing my alarm and having to deal with snowy roads throughout the entire drive. I was cutting my first hole after 9 am though and was pleasantly surprised to see nothing but crappie as far as I could see on my underwater camera. After cutting another dozen holes, I got to fishing. The first, second, and third fish that I caught were all crappie. The size also increased throughout as well. 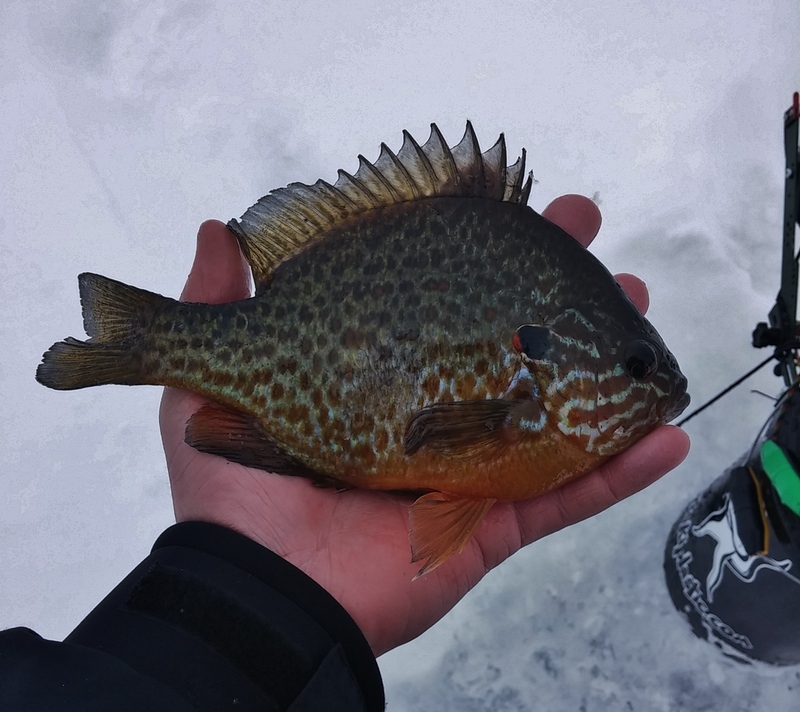 After the first three drops, I began catching mostly pumpkinseed so I moved on. The fishing slowed the deeper that I went so I was able to dial in an area and cut more holes over the sweet spot. Throughout the day, the fish bit consistently as long the wind wasn’t blowing from the north. Mostly, the wind came from the west but it was variable and gusty. Fortunately, it switched often enough so that I never went long without a fish! 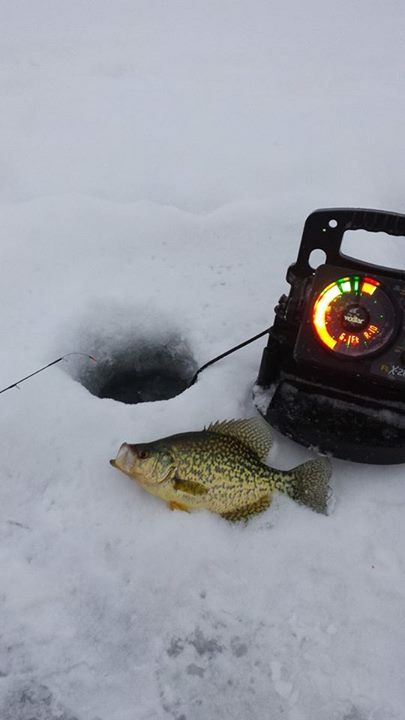 When the wind stayed constant from the north, I used the downtime to search for better pods of crappie. It’s always a toss up whether noise scares fish. Sometimes one auger is fine but two is too much. Other times it fires them up or scares them away. Today, cutting holes worked to my advantage. The noise seemed to scare the pumpkinseed and bluegill away. When they were gone the crappie fed heavily! I was able to capitalize during these times to add to my collection of fish!